So I did a great job of shopping from the pantry, garden and freezer for this week which resulted in very few dollars being spent on groceries. We also didn't stock up on anything this week because those items that were on sale we still have plenty of. Pepperoni, Onions, Juice, Rolls, and Rolled Oats. We did order out Saturday night because we were busy making products, so last week's total goes from $54.47 to $78.73. This total assumes I have eggs, rice, flour, peanut butter, beans, tomato paste, diced tomatoes, Worcestershire, and sage on hand, which I usually do. Not too bad for a full week's worth of meals! 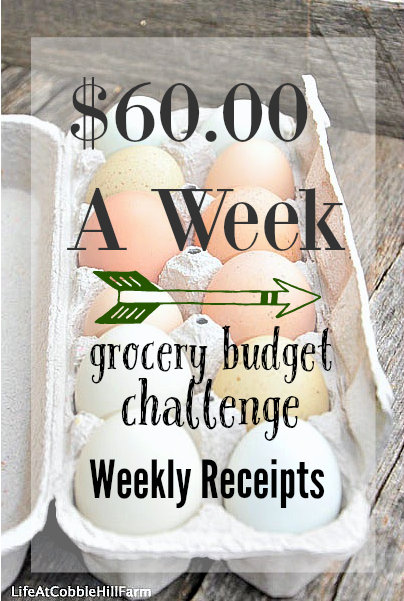 With a little planning, you really can control the cost of your weekly grocery spending. It just takes time - time to look at the sales flyers and look at what you currently have on hand. How about you? How did you do with your own weekly budget? 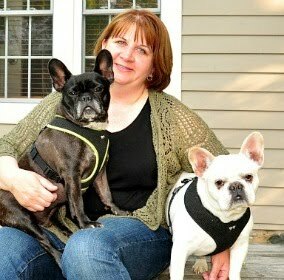 Click here to read more about our $60.00/week challenge. Awesome job planning! I'm just trying to imagine what it would be like to walk away from the Farmer's Market having spent less than $40 for the week.